The investigation of the efficacy and safety of drugs requires assessments of their effects on alertness/sleepiness. Unfortunately, there is confusion about the nature of ‘sleepiness’, the factors which influence it, and how it can be measured under different circumstances. This review aims to clarify these matters and to offer some suggestions about how current difficulties might be overcome. Different meanings of the word ‘sleepiness’ are examined initially. Methods that purport to measure ‘sleepiness’ are then examined, including their testretest reliability and the relationship between the results of different measurements within the same subjects. Some objective methods are found not to be as reliable as was initially reported. Information about the reliability of several other methods is either inadequate or nonexistent. One assumption which underlies two frequently used objective methods for measuring ‘sleepiness’ (the Multiple Sleep Latency Test and the Maintenance of Wakefulness Test) is that the ‘sleepier’ a person is, the quicker they will fall asleep. While this assumption has face validity, other assumptions about these tests are re-examined and are found wanting, at least sometimes. The difficulty arises in part because it is not always clear when the sleep onset process begins and ends. ‘Sleepiness’ is found to be influenced much more by short-term factors, such as the subject’s posture at the time and during the preceding few minutes, than has been acknowledged previously. Some possible solutions to these difficulties are suggested, including a new conceptual model of sleep-wake control, with implications for the design of drug trials. Keywords: Sleepiness, alertness, drowsiness, sleep propensity, sleep-wake models, drug trials. Keywords:Sleepiness, alertness, drowsiness, sleep propensity, sleep-wake models, drug trials. Abstract:The investigation of the efficacy and safety of drugs requires assessments of their effects on alertness/sleepiness. Unfortunately, there is confusion about the nature of ‘sleepiness’, the factors which influence it, and how it can be measured under different circumstances. This review aims to clarify these matters and to offer some suggestions about how current difficulties might be overcome. Different meanings of the word ‘sleepiness’ are examined initially. Methods that purport to measure ‘sleepiness’ are then examined, including their testretest reliability and the relationship between the results of different measurements within the same subjects. Some objective methods are found not to be as reliable as was initially reported. Information about the reliability of several other methods is either inadequate or nonexistent. One assumption which underlies two frequently used objective methods for measuring ‘sleepiness’ (the Multiple Sleep Latency Test and the Maintenance of Wakefulness Test) is that the ‘sleepier’ a person is, the quicker they will fall asleep. While this assumption has face validity, other assumptions about these tests are re-examined and are found wanting, at least sometimes. The difficulty arises in part because it is not always clear when the sleep onset process begins and ends. ‘Sleepiness’ is found to be influenced much more by short-term factors, such as the subject’s posture at the time and during the preceding few minutes, than has been acknowledged previously. 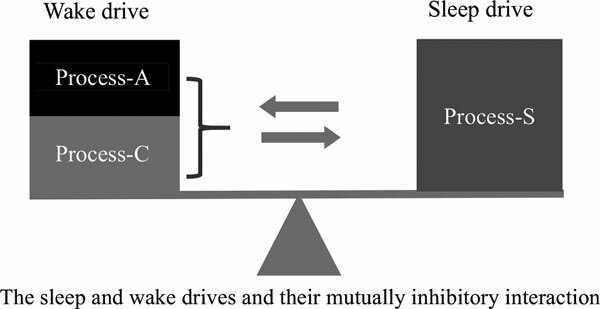 Some possible solutions to these difficulties are suggested, including a new conceptual model of sleep-wake control, with implications for the design of drug trials.